Knürr DCD is an air-water heat exchanger that is integrated into the rear door of a server cabinet. 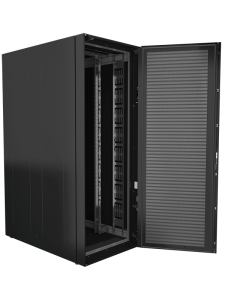 The heat exchanger serves to absorb heat loads from server racks of up to 50 kW. Knürr DCD is configurable with Knürr DCM cabinets or can be mounted to other vendor cabinets. The design of the heat exchanger permits an increase in the chilled water temperature.